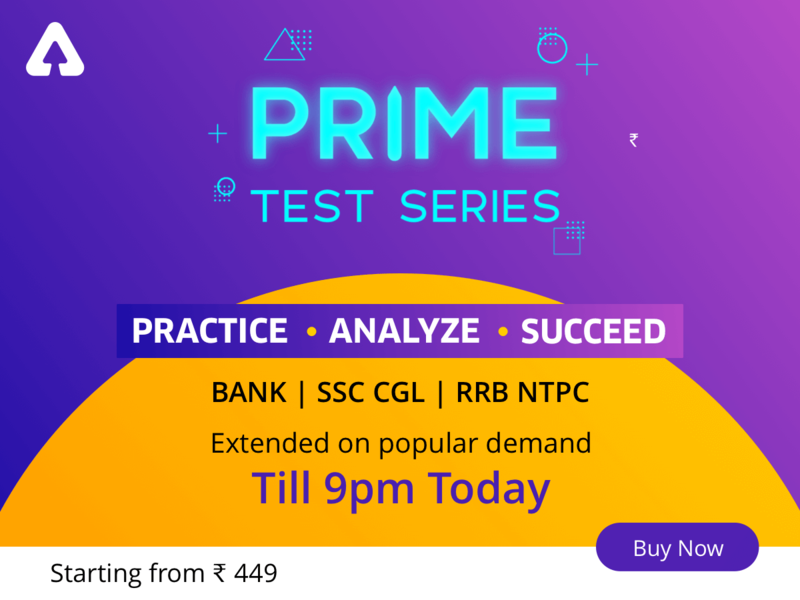 Dear Readers, SSC CPO, CGL & Railway Examinations will be conducted in online mode. 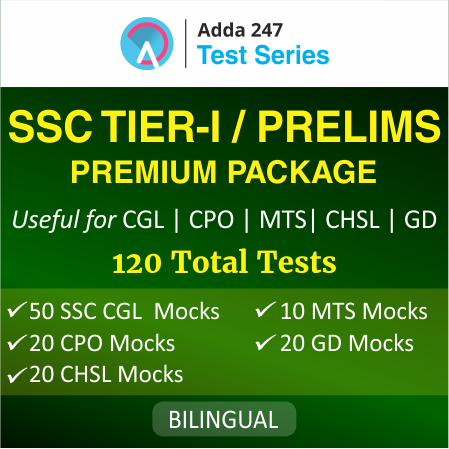 Static GK is taken on the light note but plays a vital role in achieving the score required to cross the cut off marks.We are providing important static questions for this, it will help you to score good in GA section if you regularly follow the contents provided on sscadda website and adda247 app regarding general knowledge important questions.We wish you the best wishes for all the upcoming exams. Q1. Mukhtar Abbas Naqvi is an Indian politician who is currently the Union Minister for? मुख्तार अब्बास नकवी एक भारतीय राजनेता हैं जो वर्तमान में किस विभाग में केंद्रीय मंत्री हैं? Sol. The Ministry of Minority Affairs was carved out of Ministry of Social Justice & Empowerment and created on 29th January 2006 to ensure a more focused approach towards issues relating to the notified minority communities namely Muslim, Christian, Budhist, Sikhs, Parsis and Jain. The mandate of the Ministry includes formulation of overall policy and planning, coordination, evaluation and review of the regulatory framework and development programmes for the benefit of the minority communities. Q2. Peru is a country in South America that’s home to a section of Amazon rainforest and Machu Picchu, an ancient Incan city set high in the Andes mountains. Capital of Peru is? Q3. Who is the first woman to be appointed as the chairman at the country’s largest lender, State Bank of India? देश के सबसे बड़े ऋणदाता, स्टेट बैंक ऑफ इंडिया में अध्यक्ष के रूप में नियुक्त होने वाली पहली महिला कौन है? Sol. Arundhati Bhattacharya is an Indian banker and is the former Chairman of the State Bank of India. She is the first woman to be the Chairperson of State Bank of India. In 2016, she was listed as the 25th most powerful woman in the world by Forbes. She studied in S. X. S Bokaro. Sol. The Pulitzer Prize is an award for achievements in newspaper, magazine and online journalism, literature, and musical composition in the United States. It was established in 1917 by provisions in the will of American Joseph Pulitzer who had made his fortune as a newspaper publisher, and is administered by Columbia University in New York City. शिक्षक दिवस हर वर्ष कब मनाया जाता है? Sol. The birth date of the second President of India, Dr. Sarvepalli Radhakrishnan, 5 September 1888, is celebrated as Teacher’s Day since 1962. On this day, teachers and students report to school as usual but the usual activities and classes are replaced by activities of celebration, thanks and remembrance. Q6. Who is current Road Transport and Highways Shipping Minister in Narendra Modi government? नरेंद्र मोदी सरकार में वर्तमान सड़क परिवहन और राजमार्ग शिपिंग मंत्री कौन है? Sol. Nitin Jayram Gadkari is an Indian politician and the current Minister for Road Transport and Highways and Shipping. Gadkari earlier served as the President of the Bharatiya Janata Party from 2010-2013. He is also known for the works during his tenure as a Public Works Department Minister in the state of Maharashtra when he constructed a series of roads, highways and flyovers across the state including the Yashwantrao Chavan Mumbai–Pune Expressway. Q7. Sasan Gir National Park is situated in which of the following Indian state? सासन गिर राष्ट्रीय उद्यान निम्नलिखित में से किस भारतीय राज्य में स्थित है? Sol. Sasan Gir National Park is one of the most popular national parks in Gujarat for its thriving population of the Asiatic Lion. The rare species of animals found here are Asiatic Lions, Leopards, Sloth Bears, Jungle Cats, Spectacled Cobra and several rare species of birds are also found here. Q8. Which city is served by Gaya Airport? गया हवाई अड्डे द्वारा किस शहर में स्थित है? Sol. Gaya Airport, also known as Bodhgaya Airport, is a public airport serving Gaya, Bihar, India. This airport is 5 kilometres away from the temple city of Bodhgaya which is Gautama Buddha’s place of enlightenment. डेनमार्क की संसद का क्या नाम है? Sol. The Folketing also known as the Danish Parliament in English, is the unicameral national parliament (legislature) of the Kingdom of Denmark. Q10. Kakrapar Atomic Power Station is in which of the following Indian state ? काकरपुर परमाणु ऊर्जा स्टेशन निम्नलिखित में से किस भारतीय राज्य में में स्थित है? Sol. Kakrapar Atomic Power Station is a nuclear power station in India, which lies in the proximity of the city of Vyara in the state of Gujarat. In January 2003, CANDU Owners Group (COG) declared KAPS as the best performing pressurised heavy water reactor. Q11. Keoladeo Bird Sanctuary / Bharatpur National Park is situated in which of the following Indian state? Sol. Formerly known as Bharatpur Bird Sanctuary, the Avifauna sanctuary is located in Rajasthan. Keoladeo Ghana Bird Sanctuary (or Bharatpur National Park) was created around 250 years ago and was named after a Shiva temple located within the forest by the Rajput King Maharaja Suraj Mal. Keoladeo Ghana Bird Sanctuary was announced as a bird sanctuary in 1971 and is famous for housing over 230 species of birds. Q12. Yeldari Dam is in which of the following state? Sol. Yeldari Dam, is an earthfill dam on Purna river near Yeldari in Jintur taluka of Parbhani district in the state of Maharashtra in India. It is the second largest dam in Marathwada region. Q13. Who is current Information & Broadcasting Minister in Narendra Modi government? नरेंद्र मोदी सरकार में वर्तमान सूचना एवं प्रसारण मंत्री कौन है? Sol. Col Rathore was elected to 16th Lok Sabha from Jaipur (Rural) and sworn in as the Minister of State for Information and Broadcasting in November 2014. In September 2017, he was given additional charge of Minister of State (I/C) for Youth Affair and Sports . In May 2018 , he became Minister of State (I/C) for Information & Broadcasting. Q14. Capital of Antigua and Barbuda is? एंटीगुआ और बारबूडा की राजधानी क्या है? Sol. Antigua and Barbuda is a twin-island country in the Americas, lying between the Caribbean Sea and the Atlantic Ocean. It consists of two major inhabited islands, Antigua and Barbuda. St. John’s is the capital and largest city of Antigua and Barbuda. Q15. Ranthambore National Park is situated in which of the following Indian state?